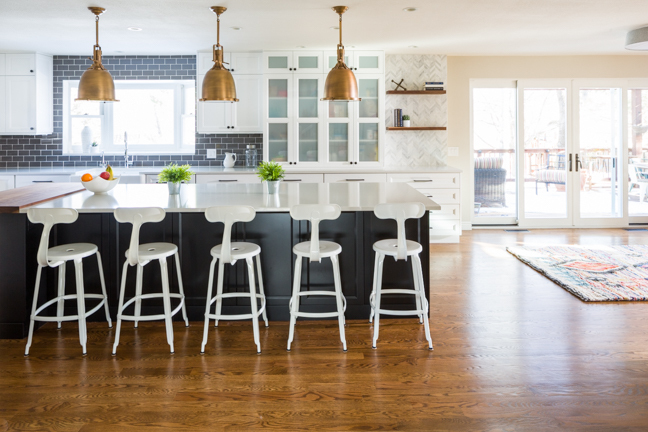 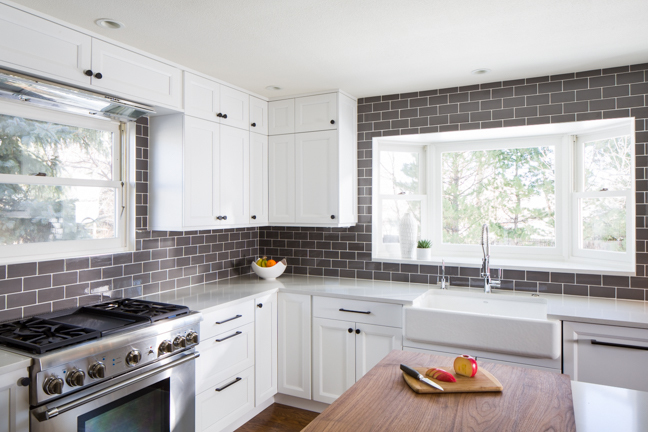 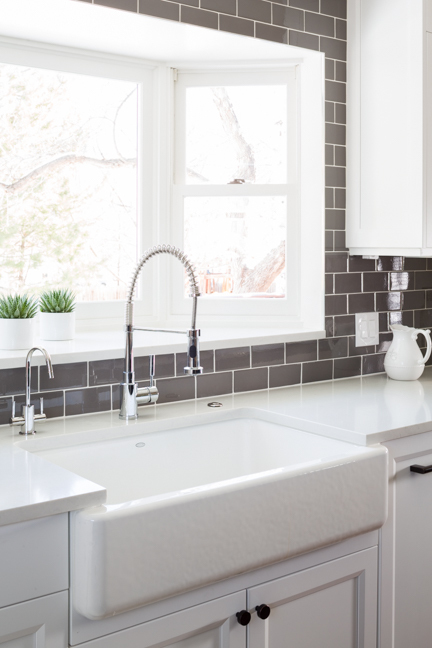 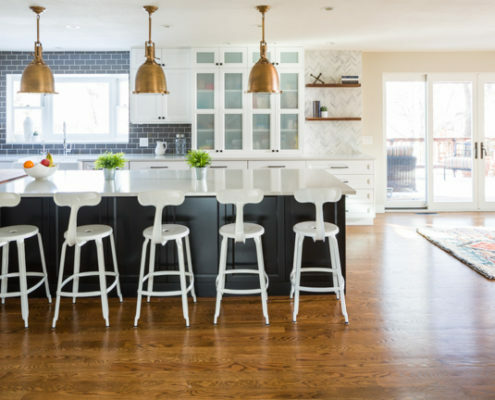 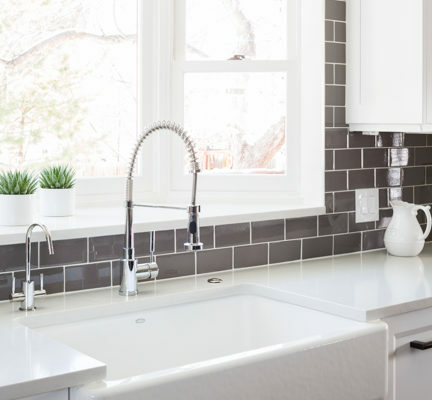 Boulder professionals approached Factor Design Build about remodeling their North Boulder home to improve the lifestyle of their family of five. 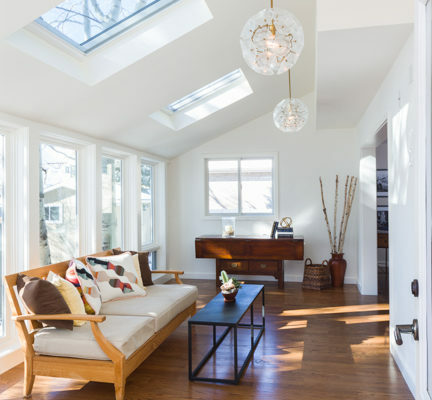 The residence’s overall design aesthetic was dated and tired, space in the kitchen and two upstairs bathrooms wasn’t being utilized to its fullest capacity, and poor construction of the sunroom made it an unusable space. 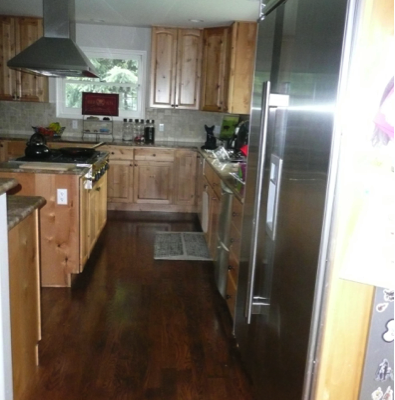 The kitchen was too cramped, preventing two people from working simultaneously within the allotted space. 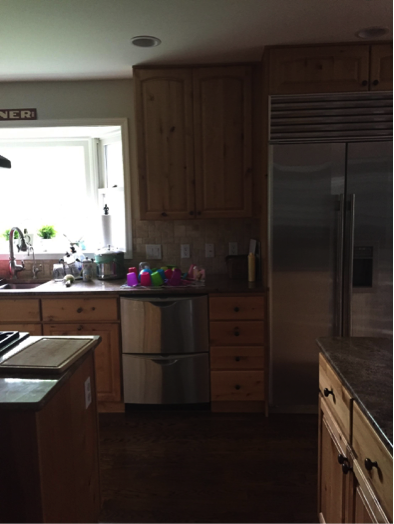 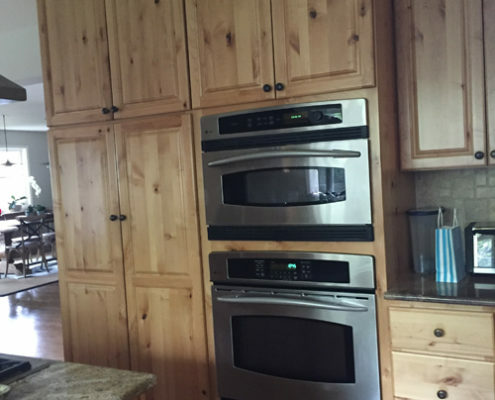 The center island was too small, so the couple and their three daughters could not sit down to eat together, and limited drawer space was not enough to keep up with the needs of the large family. 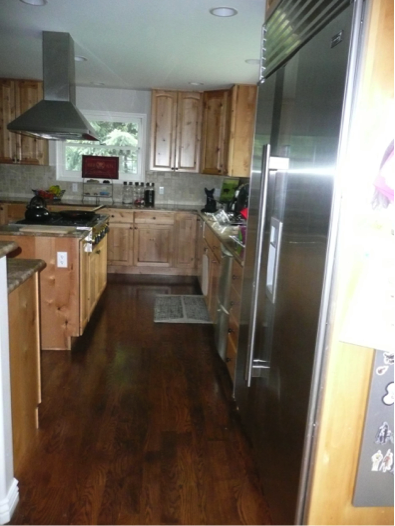 The kitchen’s constricted layout also limited access to the family’s gorgeous backyard and patio space. 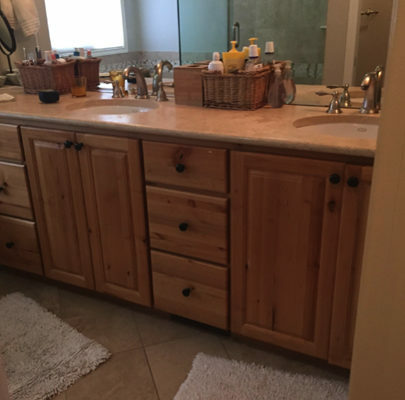 All three girls shared one bathroom. 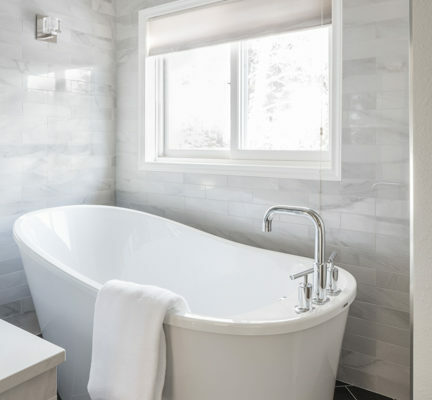 Interior dividing walls made it so the bathroom couldn’t hold two of them comfortably, let alone all of their stuff. 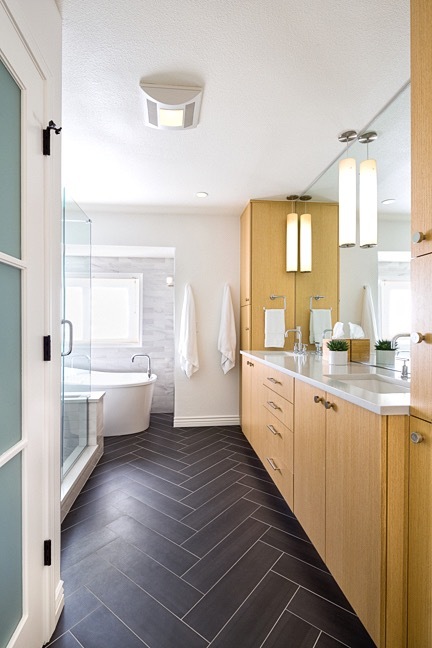 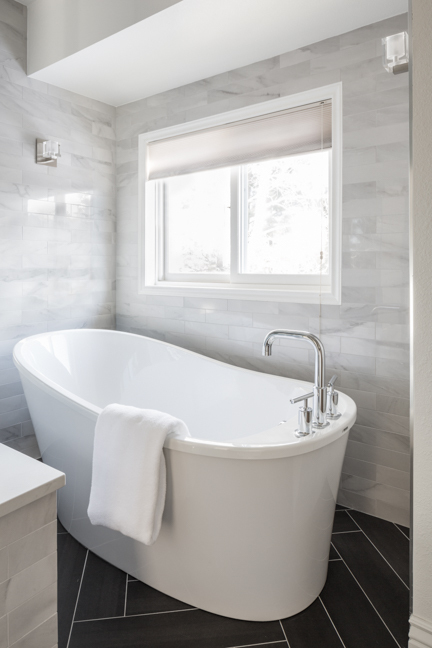 The master bathroom was also a constricted space. 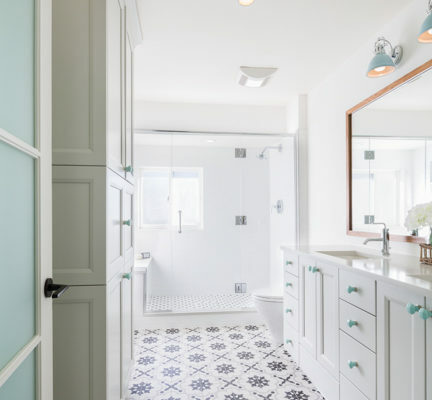 The toilet did not have its own separate room, the bathtub in the rear of the space closed off any extra functionality, and the finishes were outdated and unwelcoming. 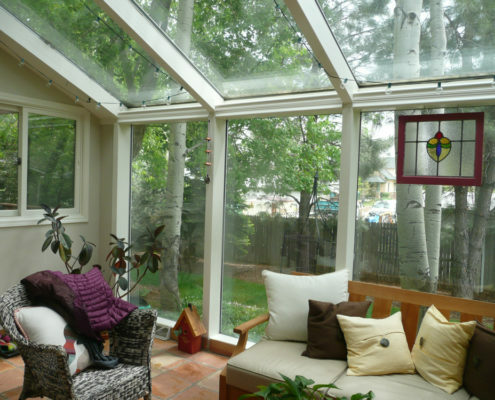 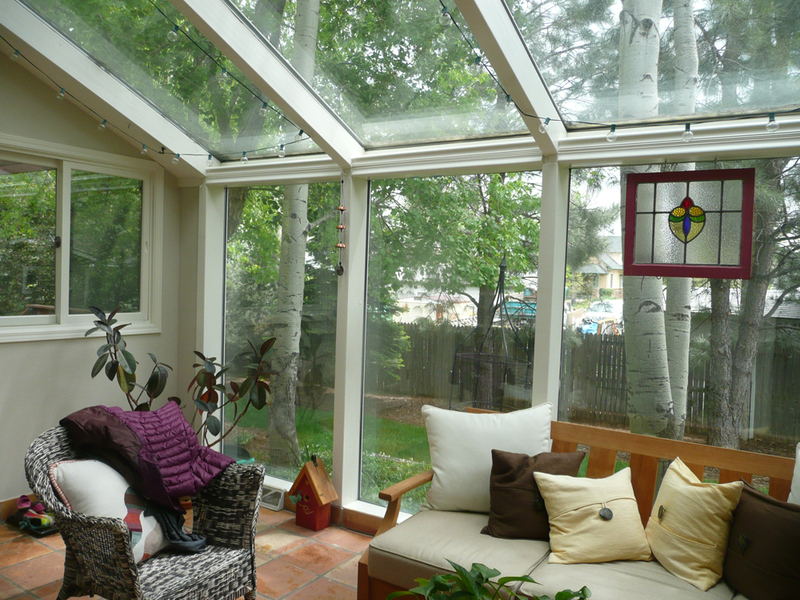 The sunroom was too cold in winter and too hot in summer, making it an impractical space for the family to enjoy. 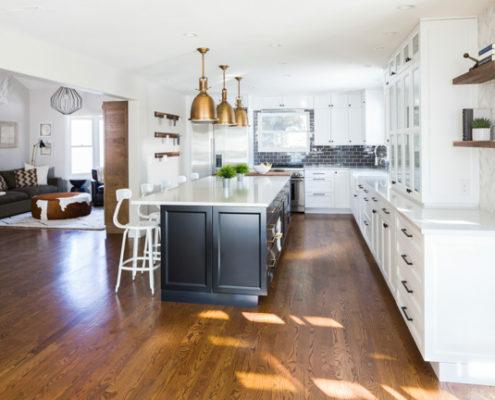 We worked with the homeowners and our in-house design team to create an inspired space that fit within the family’s budget to enrich their quality of life at home. 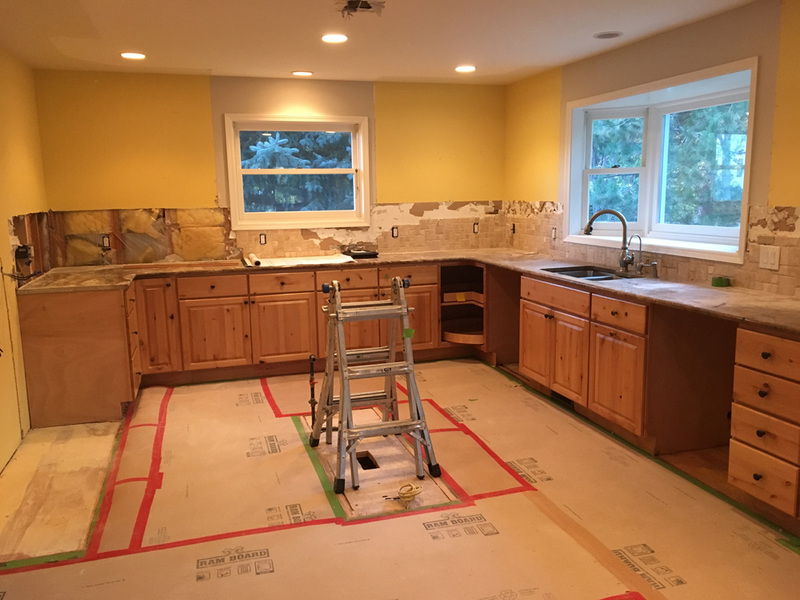 We totally redesigned the kitchen from the ground up. 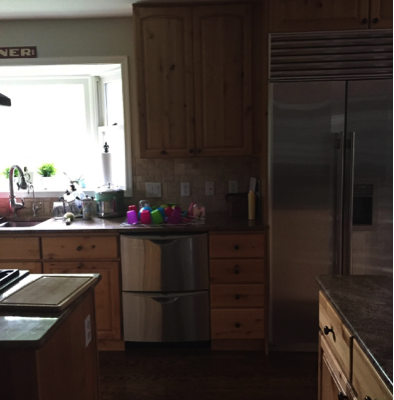 We added a 12-foot-long island to accommodate the whole family and installed a new wet bar. 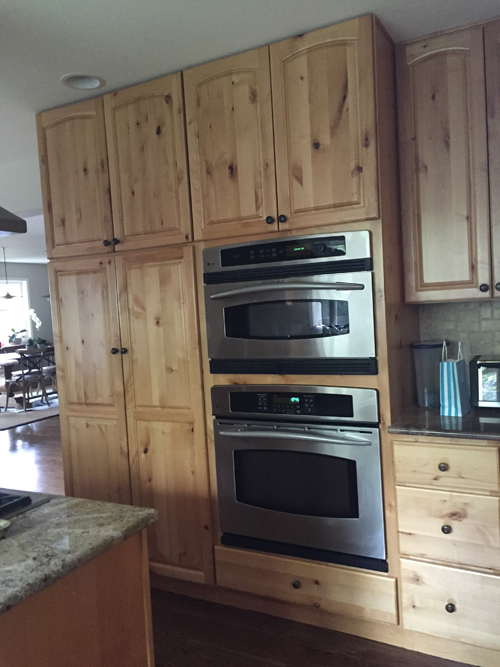 To minimize clutter, we opened up multiple unique work spaces and added a custom walnut display wall for the kids to hang their artwork. 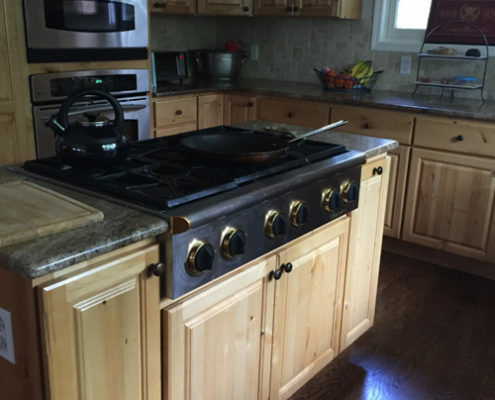 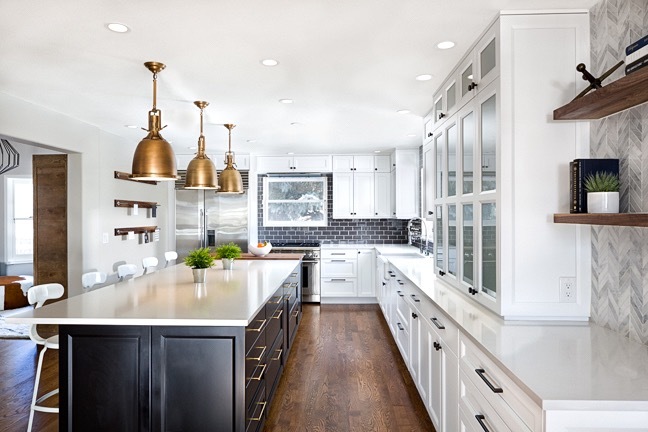 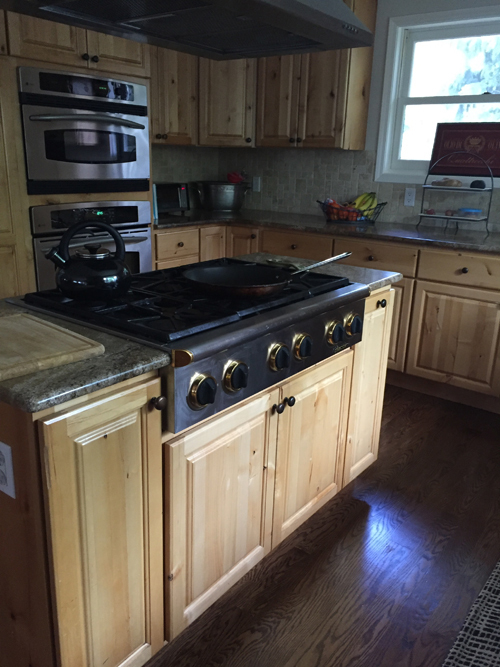 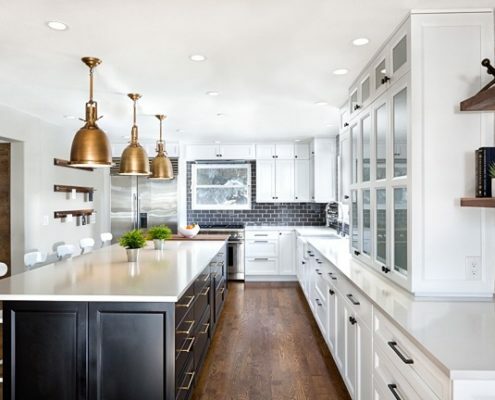 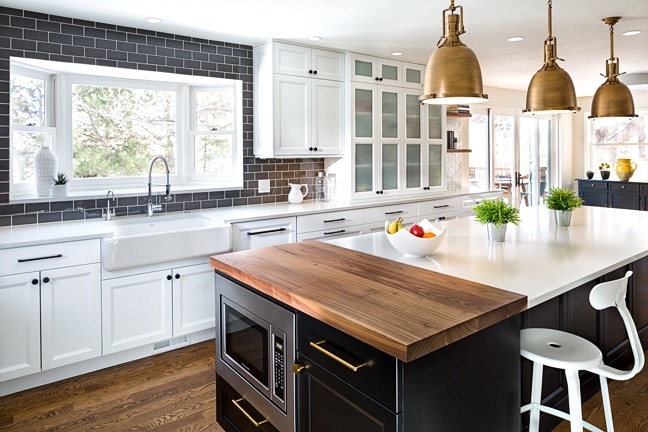 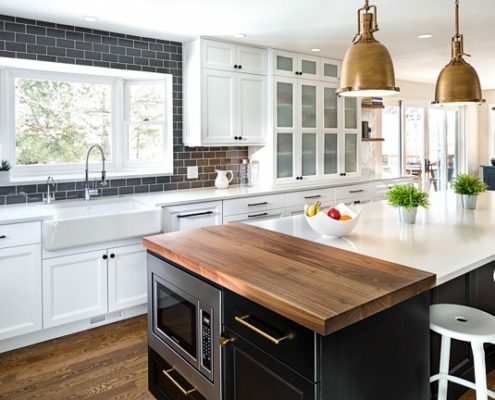 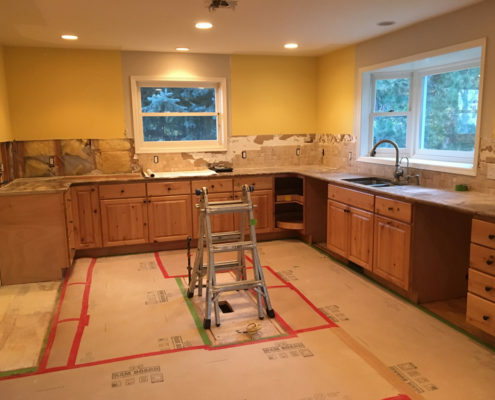 Finally, we updated all the finishes, such as antique brass pendant lighting, customized butcher block and Ultracraft cabinetry, to match the homeowners’ taste and style. 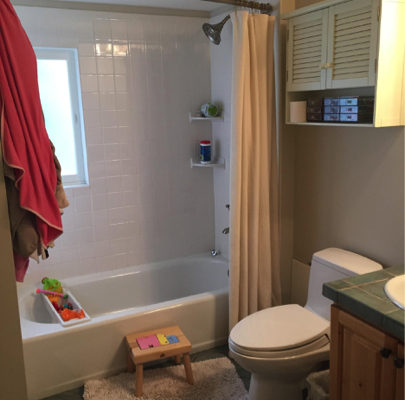 Our goal was to make the kids’ bathroom light and full of color. 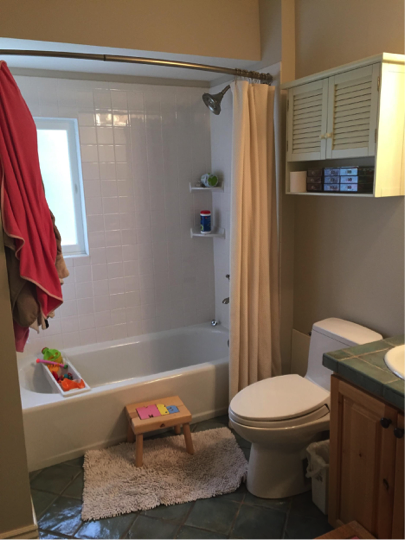 We removed the old tub and replaced it with an oversized shower, complete with plenty of nooks and storage space. 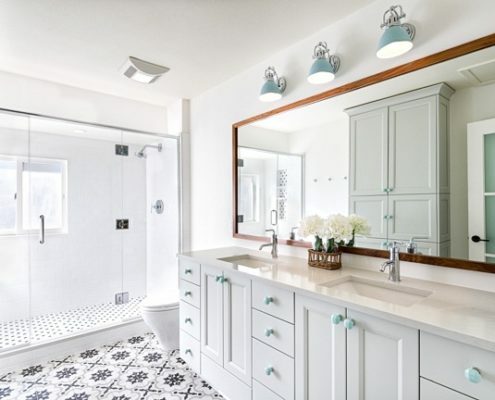 We omitted some interior walls in order to install an oversized vanity, ensuring plenty of cabinet space so the counter could remain clutter-free. 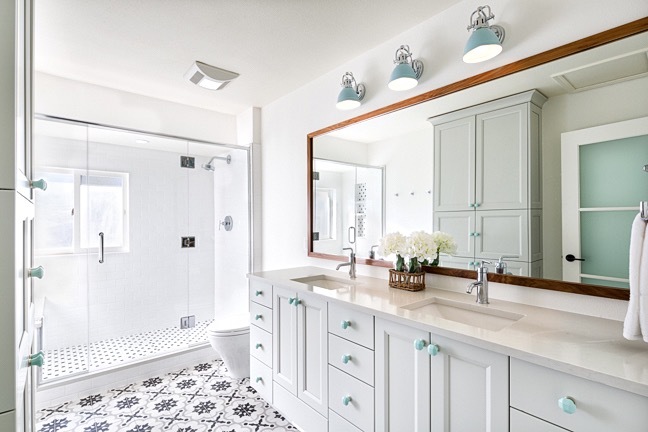 We hung a long custom-framed mirror above the vanity. 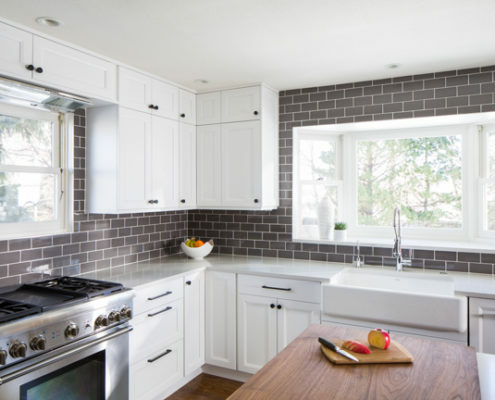 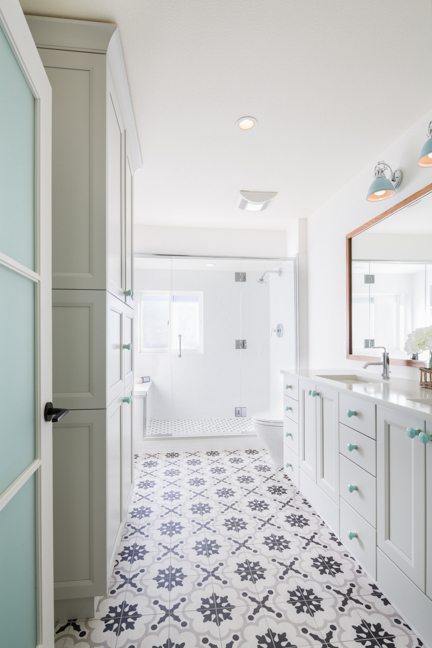 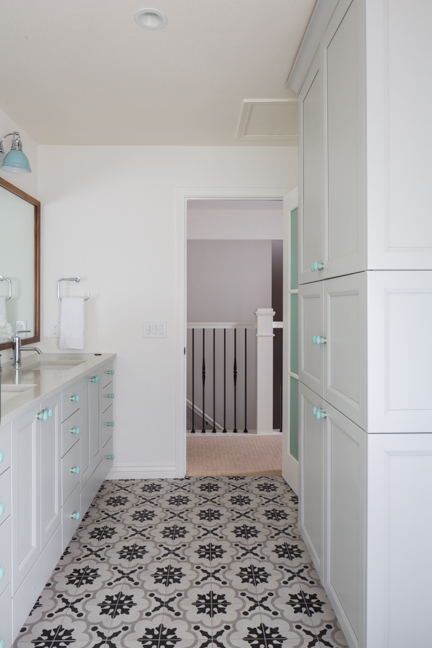 We selected a durable floral patterned tile that sets the tone for this fun space! 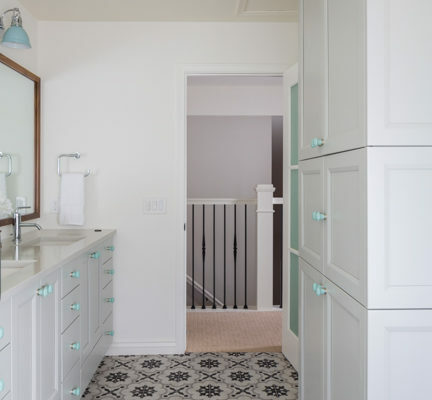 Anthropologie mint-colored cabinet knobs round out the space with a welcome pop of color. 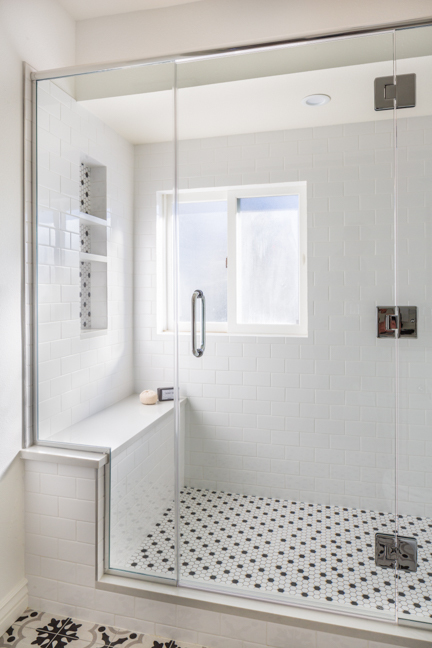 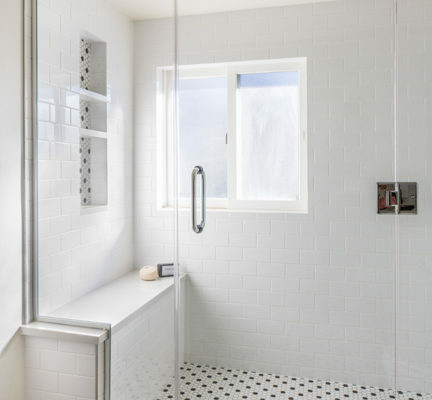 The master bath was adjacent to sorely underutilized office space, so we incorporated some of the excess space to make the master bath a more functional room. 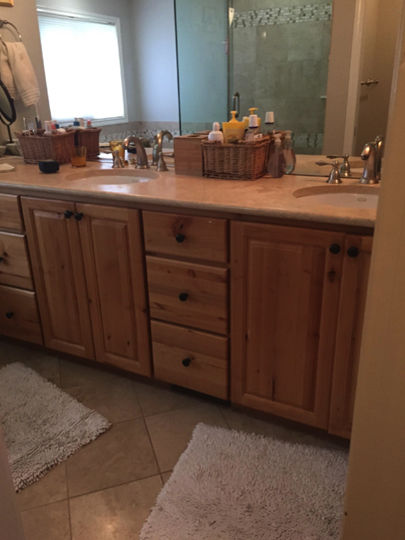 We added a large shared vanity and freestanding tub to allow a more comfortable space. 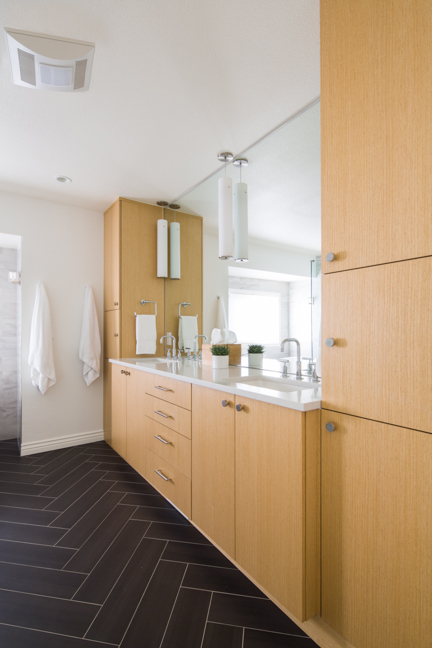 We installed herringbone tiled floors and rift-cut oak cabinets to create a brighter and more attractive interior. 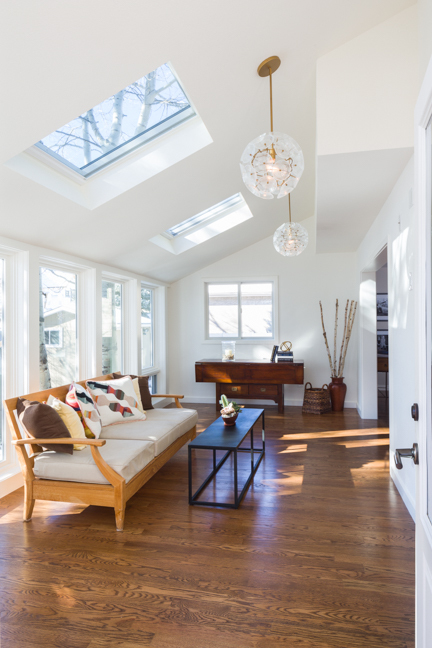 To maximize the usability of this space, we enclosed the ceiling of the sunroom and added two new remote-controlled skylights. 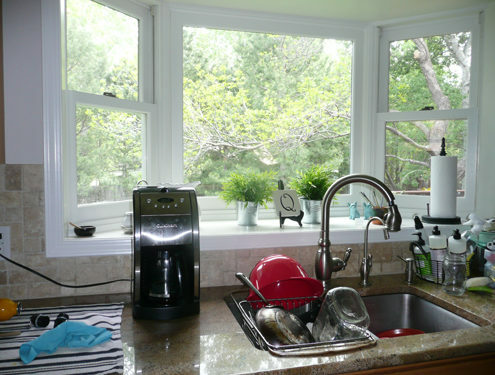 We also replaced all the old windows and sliding doors, making the room more energy efficient and improving the aesthetics of the space. 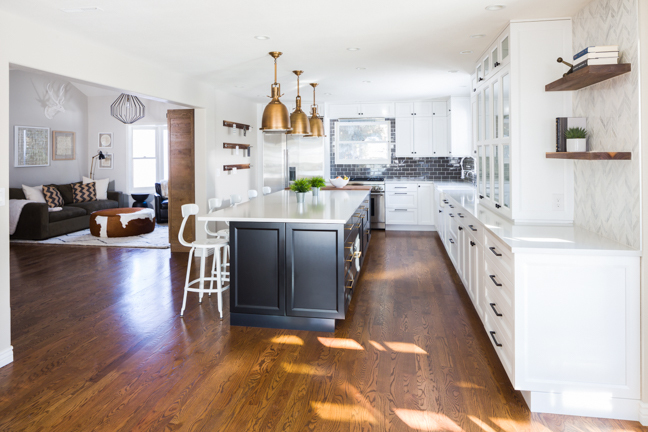 Finally, we installed West Elm pendant lights to complement the natural light within the space.